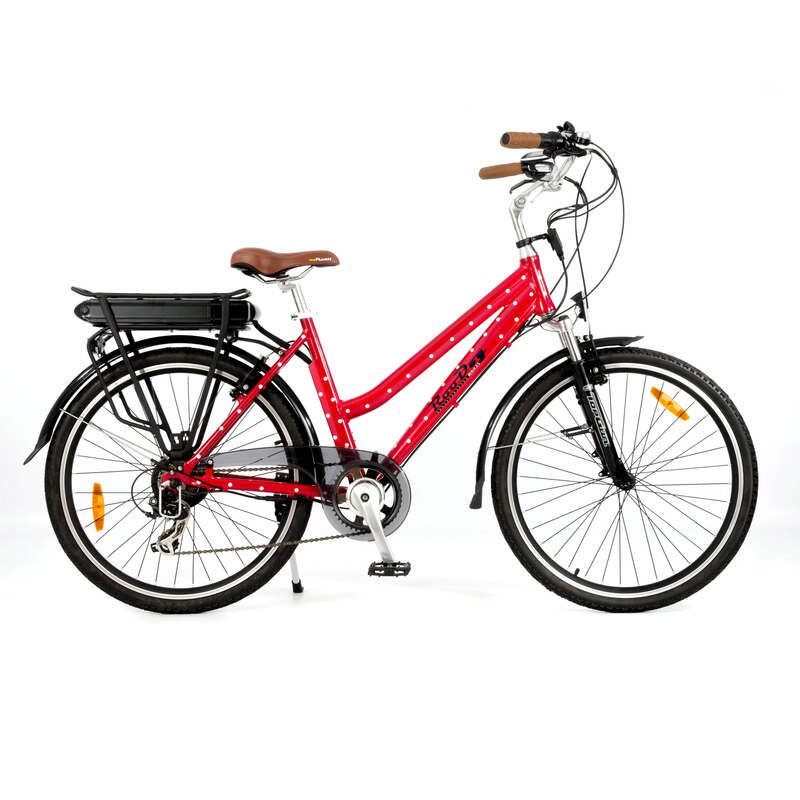 This Riese & Müller Nevo NuVinci electric bike has a sporty look whilst providing you with a comfortable step-through. Powered by the industry-leading Bosch Performace Line CX Centre Drive Motor, helping reinforce your own muscle strength with speeds up to 15.5mph (the maximum speed allowed by UK/EU regulation) combined with a 36 volt 500wh lithium-ion frame battery, this gives a range of up to 50 miles* per full charge. Its handlebar mounted Bosch Intuvia display is the control centre for the Nevo. A complete range of information to the rider is delivered via the Intuvia. Battery status, range, daily mileage, total mileage, ride time, current motor power, time, speed and average speed is all displayed on the Intuvia. This ebike benefits from a walk-assist function taking the bike up to 4mph. Operated via the Bosch display, the LED lights give out the exceptional brightness. 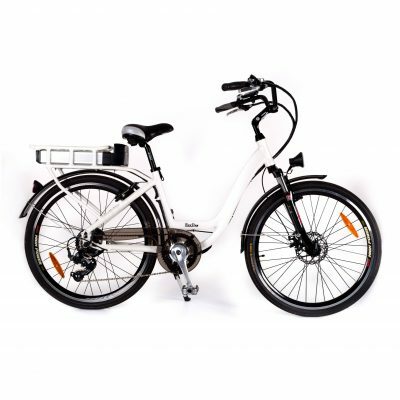 The frame profile and hard edges show off the sportiness and determination of this ebike. The continuous NuVinci N380 CVT hub gears with C8 twist grip make for a faster smoother gear change and the Gates carbon belt drive means it’s low maintenance. Magura MT4 hydraulic disc brakes don’t fail to impress with their braking performance no matter what the weather. The 700c wheels and Schwalbe Big Ben tyres guarantee the ultimate in riding comfort and prevent the bike from sinking into soft ground. This Riese & Müller Nevo frame comes with a two-year warranty and a years warranty on all other non-consumable parts. *This will vary depending on weight of cyclist, frequent use of pedal assist, the air pressure in tyres, road condition, etc.